We’ve made it through the holidays, with all the family fun and travel involved. So now we’re all back in the office and it’s time for us all to get . . . sick. Maybe it’s just an airplane cold or general post-holiday fatigue, but keep in mind, we are already more than a month into the annual flu season and it’s shaping up to be a nasty one. Cover your mouth and nose when you sneeze. Disinfect surfaces and objects that carry germs. Now, these surfaces and objects can include your tech gear. 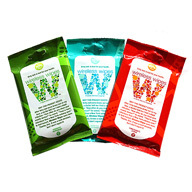 To help keep your gadgets cleaner and hopefully less germy, you can get disinfectant wipes for both your computer keyboard and smartphone; online shops and office-supply stores should carry them. UV sanitizers (like PhoneSoap and CellBlaster) that use ultraviolet-light to kill bacteria and disinfect phones are also out there. And Apple has its own disinfection tips for its Mac and iOS gear. If you want to see where influenza is hitting the hardest, you can use the Web to see roughly where waves of flu have been reported. The Google Flu Trends site, which uses aggregated search data to estimate outbreaks around the country, is one place to look; note that some scientists say the site has been off the mark in its annual estimates, though. The CDC has a weekly U.S. Influenza Surveillance Report that has information about flu cases around the country. The WebMD site has an interactive map where its members can report cold-and-flu symptoms from the states they live in. And if you really want to get into it, there’s the Sickweather.com site and mobile apps (below). 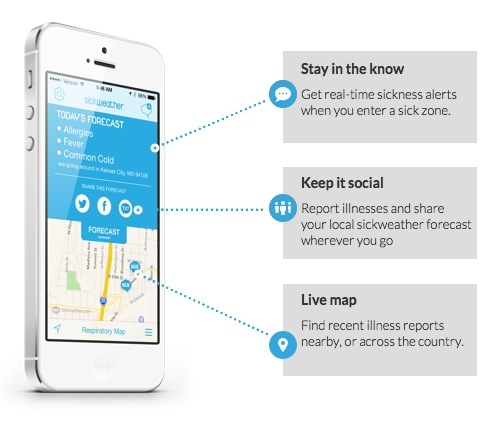 Sickweather gathers data from social networks, personal reports and reported outbreaks to create as they call it, a Doppler radar of local illness, complete with a map and real-time sickness alerts. If you do happen to get sick, stay home — don’t try to go to work or school where you can become part of the plague and spread it. Get your bed-rest, keep up your fluids and take any medications the doctor may prescribe. And when you start to feel a little bit better, use the time to catch up on your mindless TV viewing — or rewatching that stash of Agent Carter episodes.